Faith in God’s presence was instilled in me while I was still very young. Later on, in order to survive, my father decided to join the Communist Party of Yugoslavia (in those days) and from that point onwards mentioning God in our house was forbidden. My grandmother secretly taught me how to pray and told me stories about God. Sometimes, she would secretly take me to a church. During my childhood I was afraid to stay alone at home. I was frequently ill and whenever I had a fever, I had the same horrible dreams and was afraid that I would die. At that time I liked to sleep with my grandmother as she would say prayers to God before sleeping. I remember that I didn’t want to fall asleep until I heard grandma mentioning my name in her prayer, asking God to protect me. Only after that was I able to sleep peacefully. As a result, a strong impression was created in my mind that God exists and protects us. I remember that later on as an adult, whenever I was afraid in some situation, I had a strong feeling that God is with me. Additionally, for a long time I had the feeling that life has a higher purpose than just merely living life, but I couldn’t understand what it was. I searched through many books and went to different lectures but what I was getting there was only a small piece of what I was really looking for. 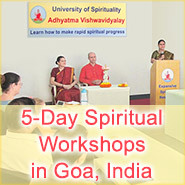 In 2007, SSRF conducted a lecture on Spirituality in my city. It was the first time that I attended such an event. They talked about God in a manner that I could understand. I learned what chanting the Name of the God is and I started chanting immediately. Within a very short period of time, I experienced the benefits of chanting and I felt the desire to chant more and more. At the lecture I also heard about the SSRF website and I visited it right after the lecture. I was impressed to learn that this website has only been made possible due to the grace of His Holiness Dr. Athavale, the source of inspiration of SSRF who works tirelessly for humanity and guides all spiritual research at SSRF. I had a strong desire to become a part of the team of seekers from all over the world who are involved in the functioning of the website and who are doing this as a part of their service unto the Absolute Truth (satsēvā). The SSRF website provided me with answers about the root causes behind various problems in my life and gave me practical solutions on how to overcome them. When I started spiritual practice in 2007, I had my first spiritual experiences. One morning, while I was walking on the street on my way to satsang, I smelled the fragrance of sandalwood. I turned around to find the source of this fragrance but I could not find one. The fragrance followed me while I traveled on the bus. I asked people around me if they could smell a nice fragrance, but their answer was no. I took deep breaths and had a wish that this fragrance last forever. I shared this experience at the satsang. More advanced seekers told me that I had a spiritual experience and explained to me that God gives us spiritual experiences to show us that we are on the right track and to increase our faith in spiritual practice. One night I was returning from a trip alone. I noticed that suddenly chanting became automatic and started happening somehow from within. I was completely calm and relaxed. Once I arrived home, I was surprised because the time had passed so quickly. I looked at a watch and realised that quite a lot of time had passed during my travel but I did not have any awareness of that time, whereas before I used to think while traveling ‘when will I finally reach home’. Once when I went to the bathroom to wash my hands, I mechanically looked at the mirror. I saw the smiling face of H.H. 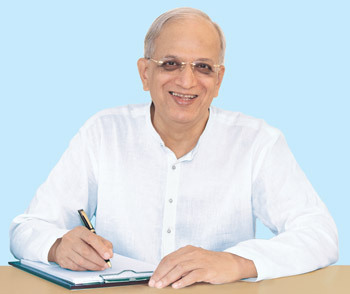 Dr. Athavale. I closed my eyes and looked again and He was still smiling. I smiled as well. From that day onwards, whenever I passed near that mirror I would remember that spiritual experience and smile. Spiritual experiences strengthened my faith in spiritual principles and motivated me to continue to practice them. SSRF helped me to better understand earlier spiritual experiences and to open doors for new ones. From that point on, my life went into a completely new direction. Because of the daily stress at work and at home, colloid cysts appeared on my thyroid gland. I was managing to calm down through chanting and prayers, so as to escape having a nervous breakdown. Cysts on the gland didn’t disappear and I had to visit a doctor. He told me that these cysts were created as a consequence of permanent exposure to stress but that my condition was still not alarming. He also told me that by exercising self-control I could prevent development of a disease and that I had to find some ‘time for myself’. I realized that God had already made that ‘time’ for me. From that point on, I began to do much more intense spiritual practice under the guidance of SSRF. The situation at home was worsening and more and more often, quarrels with the husband were ending in physical violence. In those situations, my chanting and prayers to God to protect me were increasing. Many times when I cried for God’s help – God protected me. This experience further increased my faith in God and my yearning for God grew more and more. In this running from one situation to the other, I ran into a serious traffic accident. I only remember that while falling under a truck I cried out, “O God, what am I to do” and heard Him saying “Scream” and I did. People around heard me and they stopped the truck. I ended up in a hospital. Everyone wondered how I remained alive. I was the only one who knew that ‘the miracle’ that saved me was God. After that event, I decided to leave my job and get a divorce. I went to another city to a friend and as of June 2012, I started a new life. It was a life with the purpose of God-realization. I started using all my free time only for spiritual practice. 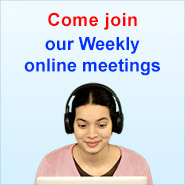 I joined the team of seekers of God who work for the SSRF website as a part of their service to God. My service unto the Absolute Truth involves coordinating translations of articles for the Serbian SSRF website. While doing spiritual practice under the guidance of SSRF, I learned practical steps I could take to initiate fundamental changes in myself, to make spiritual experiences durable, and to make my life richer and filled with purpose. Like many seekers, the spiritual journey I started under the guidance of SSRF became the most exciting and fulfilling journey, one that I had yearned for my entire life. In July 2012 I went to the SSRF research center with a group of seekers and I stayed there for two months. The seekers from the SSRF center welcomed us on arrival with smiles full of love. I felt that ‘I came home’. We had many opportunities to recognize different forms of this love: in fellow seekers’ care that we not miss anything we might need, in eyes full of understanding that were always ready to help and in learning many new things and sharing experiences that helped us in our spiritual practice. I felt refreshed and blissful all the time. For the first time I felt what is a ‘thoughtless state’. While chanting, I noticed that my concentration was much better. My mind was able to enter a thoughtless state much faster. Then I could see much easier the mistakes I made and what defects were causing these mistakes. And all I did was to pray from the bottom of my heart. All that time I felt immense gratitude and had intense desire to serve God and that everything I do should be service unto the Absolute Truth. I was impressed when I saw Him for the first time. While He was talking to us, I felt some strange connection with Him and had an internal desire to become and be natural like Him. I felt such gratitude that I cried every day out of spiritual emotion (bhāv). While staying in the center, I had the opportunity to see a doctor for all my health problems. While performing my health check-up, the doctor noticed that I have the ‘Om’ sign on my tongue. I visited the SSRF research center two more times. Every visit was different and every time I learned something new. I learned to recognize the difference between thoughts coming from God and thoughts that were coming from negative energies. After spiritual healing measures, these thoughts were disappearing very fast. The strength and frequency of these thoughts rapidly decreased. It became very easy to recognize the source of these different thoughts: whatever is positive comes from God and whatever is negative comes from negative energies. I learned that it is very easy for negative energies to use my personality defects, emotional nature and ego to destabilize my mind and obstruct my spiritual practice. With God’s grace, through the intensive process of removal of personality defects and ego, I learned how to recognize this quickly and how to apply spiritual healing measures. For example, in the past when I made a mistake, I would become very upset and keep thinking about the mistake and its consequences. I would have negative thoughts about myself, shut down and fall into depression. With regular spiritual practice and measures advised by SSRF, my approach to life situations became better. Now, it is easier for me to accept my mistakes and I make more efforts not to repeat the same mistakes. And above all, I am not falling into depression. Instead of harboring negative thoughts, now I can only observe the situation as a third person and find God’s teaching in it. By doing spiritual practice, God convinced me that deep inside each one of us there is the most supreme form of happiness called Bliss and we only need to strive to reach that natural state of Bliss, the state that I am now experiencing every day. I am immensely grateful to God for this grace. On 30 November, 2014 Maria was declared to have reached the 61% spiritual level during a spiritual workshop for seekers in Serbia. It is due to God’s grace and her qualities such as humility, love for others and spiritual emotion that Maria has passed through so many difficulties in life and become liberated from the cycle of birth and death. We pray that seekers all over the world learn from her efforts and make rapid spiritual progress like Maria. How does one gain access to the Bliss from the soul? Classroom - How does chanting work? This Holy text elaborates upon the difference between object related happiness and Ānand (Bliss) which is not related to any object, reasons underlying happiness and unhappiness and how to overcome these and obtain Ānand (Bliss).